Cars used to be a sanctuary from work. Now they're basically just an extension of your office. 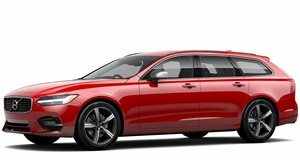 Volvo has announced that Skype for Business will be coming to its 90 series of cars. The S90, V90 and XC90 will all soon feature the app, which won’t actually allow video chatting. In the interest of safety, and because putting occupant-facing cameras in cars is weird, drivers will only be able to use audio chat functions. 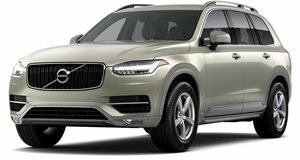 The idea is to make the top tier of Volvo's lineup more connected, and to allow folks behind the wheel to safely and seamlessly attend meetings held on Skype. The addition of Skype for Business is as much about continuing Volvo’s rebranding efforts—it wants to be known for luxury and not just safety—as it is about making the 90 series of cars more capable. 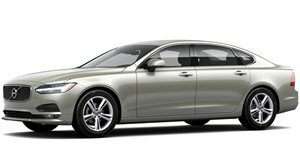 No, someone won’t pick a Volvo S90 over a BMW 5 Series or Audi A6 simply because it includes Skype. But it may be one, of many, factors for some who eventually do decide to give the new sedan a shot. It’ll be interesting to see how consumers and reviewers respond to Skype in Volvos. After all, many people use being stuck in the car as an excuse to dodge work. Also, any time you add more tech to a car you run the risk of introducing new problems. What if the app doesn’t work or keeps dropping calls? Volvo didn’t say when Skype for Business would come to its 90 series of cars, but since this is just a software update it shouldn’t take long to implement. There was also no word on whether or not existing owners of the S90, XC90 and V90 will be able to upgrade their cars to include the app.